Meet Your Real Estate Agent, Joan! Joan H. Raley's maiden name is Householder! Can you believe that? Joan has a Bachelor's Degree in Education. She attended The Ohio State and Youngstown State Universities. Her major was Home Economics, an interesting choice! She taught in the public school systems in Ohio and Florida for six years. She is an educator at heart and this shows in her business. She entered the real estate business in 1978 after a summer job with real estate agent Tim Peary, REALTOR®, when teaching high school in Monticello. She is the Broker/Owner of her boutique company. She became a Broker in 1981. She has worked with small, medium and large companies, as well as franchised and independent companies. She loves her small company with her assistants. She develops custom plans for servicing buyers and sellers all to fit their real estate needs. CRS-Certified Residential Specialists. This is the highest level designation for Residential REALTORS®. Only 4% have attained this. All of these designations take a commitment of time, energy and financial investment to earn them. Joan frequently takes update courses for these designations and other courses in all areas of her real estate profession. Joan uses a lot of the new technology to be on the cutting edge. 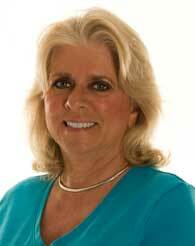 Joan has worked full time for 30 years in Tallahassee as a real estate agent. She knows her city well and is always up to date on the residential real estate market. This is definitely her valued career! Joan practices what she preaches. She owns real estate investment properties throughout the city. She recommends that everyone needs to invest in real estate for building their wealth. She also offers Property Management to her Clients so that they can take advantage of owning investment properties for themselves. On the fun side, Joan has four pets: two dogs, Spirit and Brownie and two cats, Whiskers and Freddie. They all live in Killearn Lakes on Lake Monkey Business- can you believe that!? Joan designed her Florida Cracker home and moved into it in 2003. It has wrap around porches and even has a metal roof! She has named it "Cracker Chic" (not chick!). Joan enjoys travel even though she works on the road! She goes to the beach often. She enjoys photography, nature, birding, gardening, biking and exercising. She used to fish, backpack, kayak, roller blade and participate in all those outdoor activities until she got so busy!! You can check some of her pictures here! Content is © Copyright Joan H. Raley, 2009.